How to setup your SCAS/IWD/PureApp plugin development environment? The IWD technology is used in different IBM products such as IBM SmartCloud Application Services (SCAS) and IBM PureApplication (part of the PureSystems product line). This technology uses patterns to deploy application and the underlying infrastructure. Pattern-types defines the rules to design patterns. 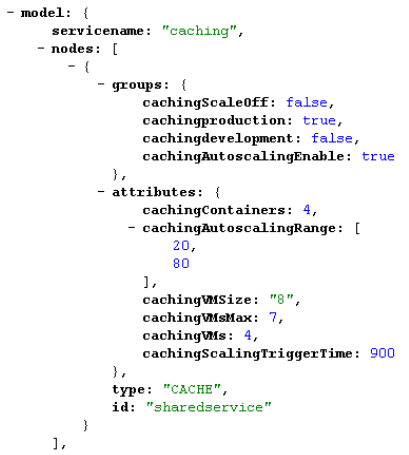 SCAS out of the box provides pattern-types such as the “Web Application” or the “Java” pattern-types. Developers wrote the plugins which define the pattern-types. The IWD technology provides a Plugin Development Kit (PDK) which allows you to develop your own plugin for IWD and therefore add extra functionality to exiting pattern-type or write your own. The PDK also provides a number of wizard and editors to help you during the IWD plugin development. Check this video (older PDK version, now it is much more easier). 2) Install the PDK (SCAS is currently running IWD 3.1.0.2 which support PDK 1.0.0.4). 3) Python interpreter: SCAS is using 2.6.4 and the installation method, of course, depends on the OS. 4) Python Eclipse plugin, which will provide you Python editor. 6) Also the FireFox JSON add-on is very useful to read the storehouse. Tips: Once you install Eclipse, you will find the ‘ant’ tool in the plugins/org.apache.ant…./bin directory of you Eclipse installation. run ‘ant’ in this directory. Install the plugin on the Eclipse platform. For that you have to open the “Help” menu->Install New Sotftware, click on ‘Add’, provide a name and select the ‘Archive’ located in the PDK directory called ‘com.ibm.maestro.plugin.pdk.site.zip’. 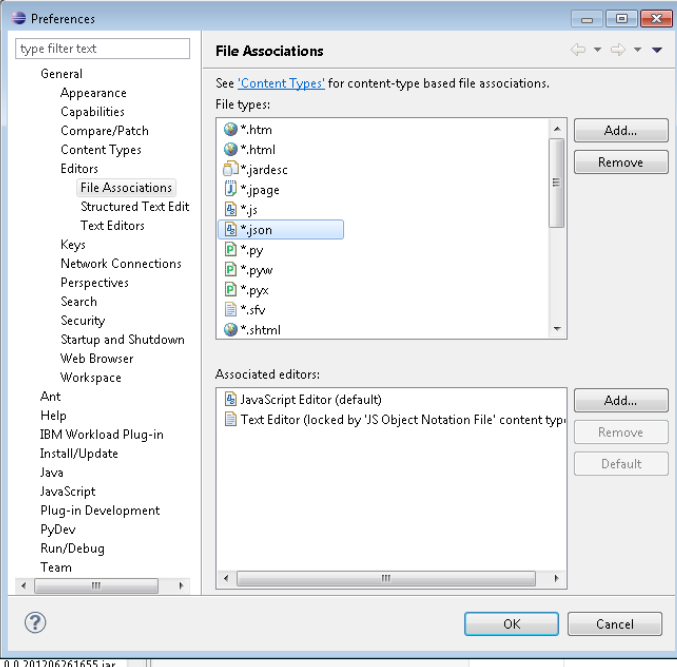 Open the Workload Plug-in development perspective. 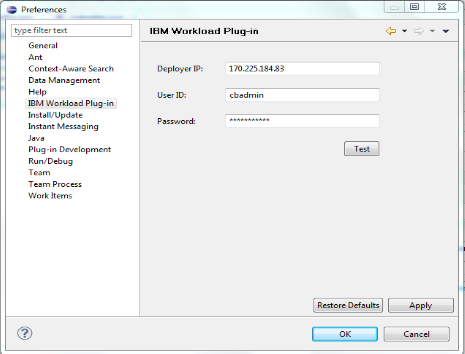 From the Windows preference, select ‘IBM Workload Plug-in’. Enter the SCAWS IP address, the user ‘cbadmin’ and his password. You can ‘Test’ the connection. From pydev.org you can download the version 2.6.6 for your specific OS. Of course, please check first if not already installed. The python Eclipse plugin will provide you python editor which is very useful while developing virtual application scripts. 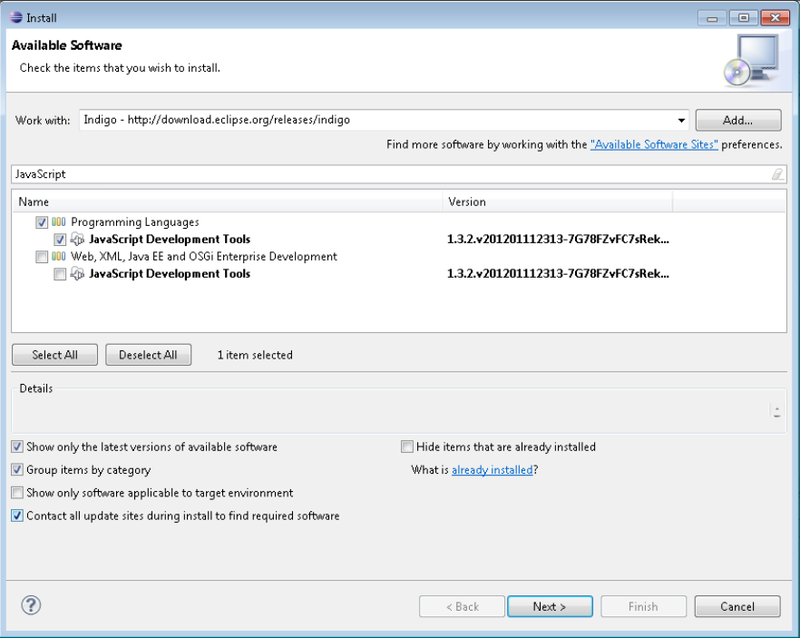 To install it, please follow, the procedure described at: PyDev Installation Guide. As you know, many files in the storehouse are in a json format and thus the FireFox Json add-on is very useful to view json file in a well formatted way. I installed the JSONView add-on which provide this kind of view when you open a json file from the SCAWS console. 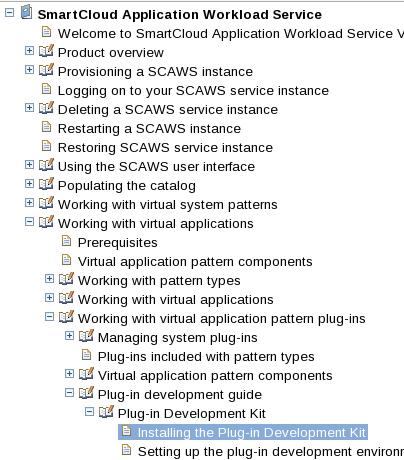 This entry was posted in IBM PureApplication System, IBM SmartCloud Application Services and tagged #ibmcloud, #ibmpaas, #SCAWS by ITDoVe. Bookmark the permalink.